Candice, one of our Bride to Be’s shares some of her budget saving tips to help you plan your wedding. In the first of my budget-saving-tips, I started with the most likely biggest expense of your wedding – guests and food. Today I want to chat about that a little more – mainly around the issue of food. As a food blogger, this is an issue very, very close to my heart – and of course one that was very important in my own wedding. However, as deliciously fun it may be to plan, food and reception costs tend to double simply by mentioning the word “wedding” to the managers – and that’s without the millions of hidden costs. Are table cloths and napkins included? What is the corkage per bottle, and is it allowed? What percentage gratuity do they charge? Do they have a minimum drink / food spend? If you are looking to save money when reception and food costs, my best advice to you would be to have it at a non-dedicated function venue. Any place with a “wedding package” would have already increased their costs immensely, because they know people are generally willing to pay it for a wedding. 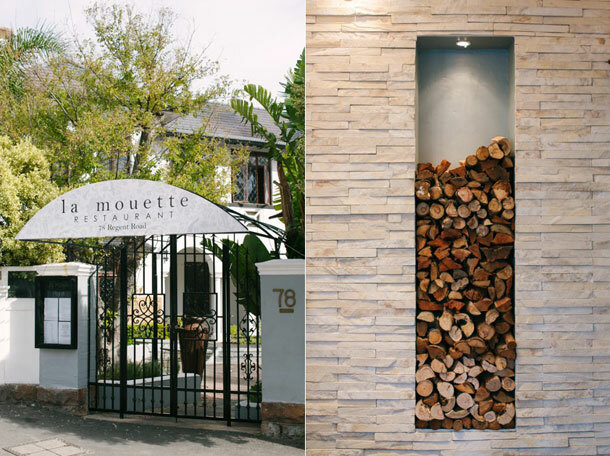 We chose one of our favourite restaurants in Cape Town (La Mouette) – it has very happy memories for us as a couple throughout our relationship and the most fantastic owners and food. We hired out their upstairs area – had a private bar and lounge – and had to pay no venue hire fee. It’s worth investigating this – many restaurants won’t charge you venue hire if you have a certain number of people. Our guests were treated to an amazing 6-course dinner : for the standard walk-in price of R185pp. So, do a little looking and phoning around – you’ll be surprised at the gems you’ll find! Venues will charge for pretty much anything they can justify charging for so be aware! 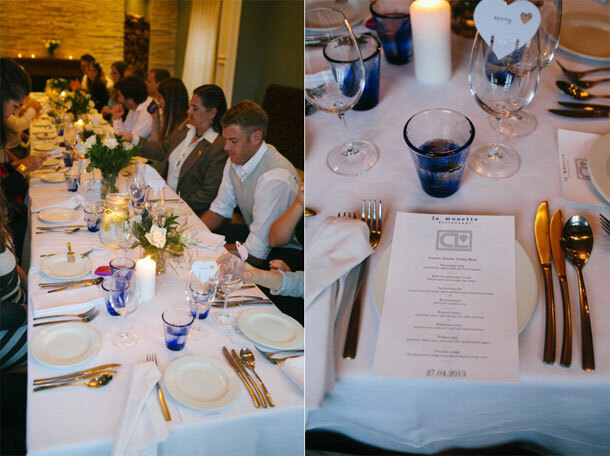 Food was top of our priority list when planning our wedding – good food, good wine, good music = happy guests! Great tips.. i had no idea that all those little things like forks and knives may not be included.. and cakeage!! really?!!! Definitely something to watch for … I agree that a restaurant may be a good idea… there are lots of lovely places to go to without it having to be ridiculously expensive. It’s true – you really have to watch every little cost…they’ll sneak them in anywhere! Especially those you “assume” will be included – napkins, tablecloths…the list is endless. Sneaky wedding packages … check every tiny detail.